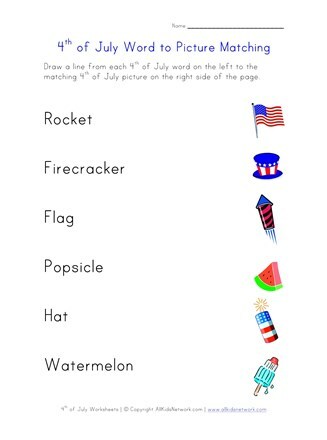 Kids will have fun learning with this printable 4th of July worksheet. Kids are asked to draw a line from each 4th of July to the matching picture. This worksheet is perfect for kids that are just starting to be able to read words. 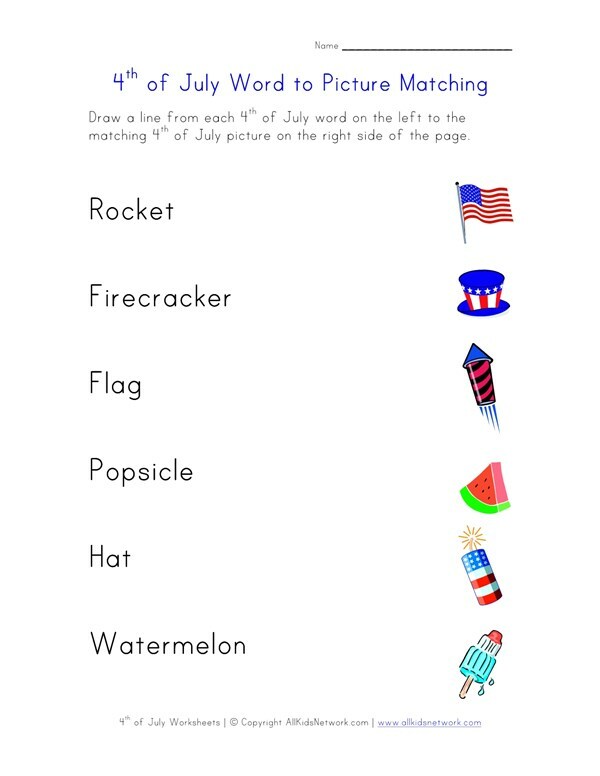 We hope you enjoy this worksheet and make sure to check out the rest of our 4th of July worksheets.